This book has schooled its readers before...but not like this. This guide is a full-scale assault on the ivory towers of academia, teaching students the ins and outs of college life--from how to handle obnoxious roommates (retaliation) to how to make it onto the dean's list (cheat). 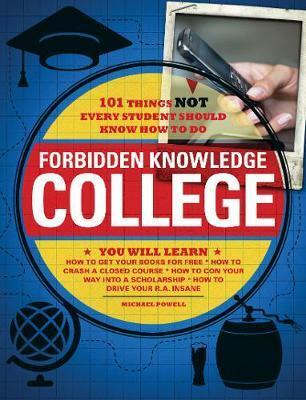 With 101 entries providing a crash course in college survival, this next Forbidden Knowledge installment is perfect for senior and freshman fans alike who aren't afraid of double-secret probation.